If I’ve been posting a lot of smoothie recipes lately, it’s because I’m pretty into smoothies. I especially love them as a quick, no-mess summer breakfast or snack. Green smoothies are normally my go-to but sometimes I go all in and indulge in a chocolate smoothie for breakfast. 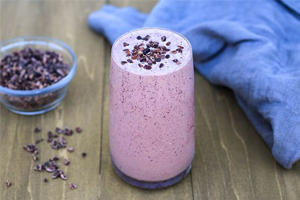 This Chocolate Mixed Berry Smoothie is a rich and filling morning treat! 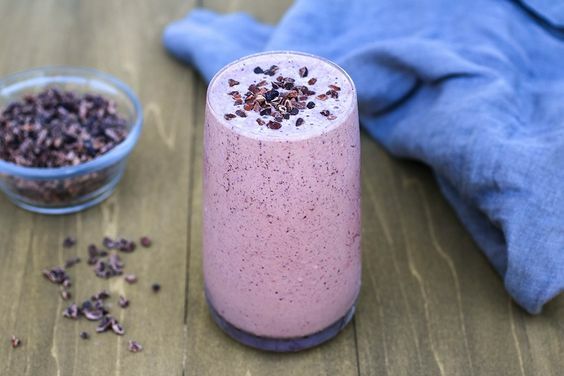 Place all ingredients except cacao nibs into a high-powered blenderstarting with the softest ingredients and working your way up to the hardest. Blend well and top with cacao nibs for garnish.